Sing songs, experience the three bears’ amazing prop-boxes and go on a fantastic story-telling adventure with Mummy and Daddy Bear. Perfect for Foundation and KS1! 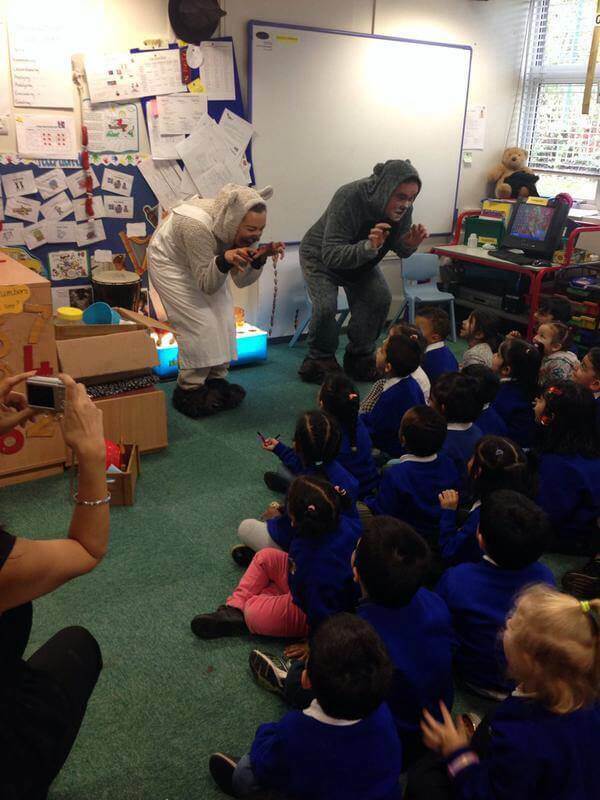 The visit is designed to help teachers meet the needs of the National Curriculum encouraging children to consider the thoughts, feelings and motives of different characters, become familiar with this age-old tale and develop their understanding of the story through hypothesising, imagining and exploring ideas with the help of our prop box. Before our visit, Glow contact relevant class teachers to ensure that we are meeting everybody’s needs as well as to offer some creative ideas for a few possible preliminary activities! 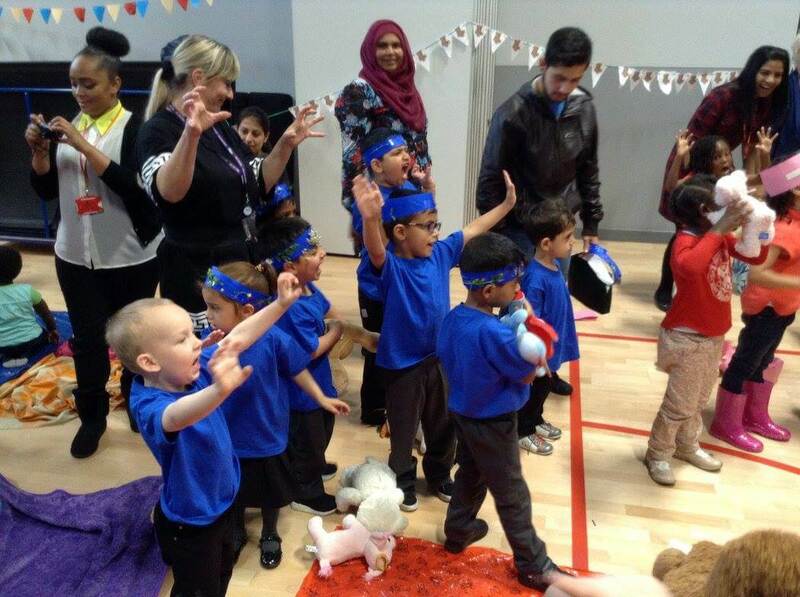 The visit kicks off with a performance from Mummy and Daddy Bear in which the story of Goldilocks and the Three Bears is told from Mummy Bear’s perspective. This lasts approximately 30/45 minutes and is designed for up to 60 children. 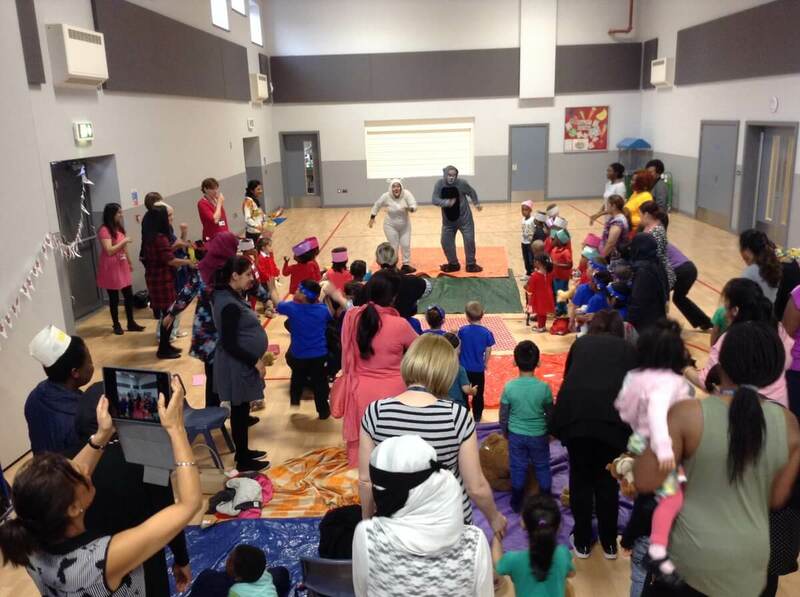 Teddy bear’s tea party: Children are invited to bring their own bears along and join Mummy and Daddy Bear for some snacks and refreshments – approximately 30/45 minutes for up to 60 children. 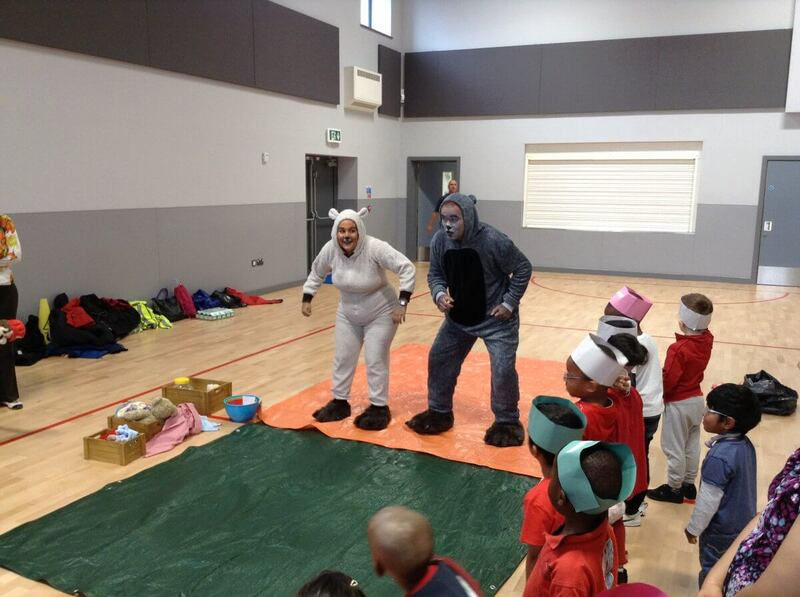 Mummy and Daddy Bear visit classes separately with their amazing prop boxes encouraging imaginative exploration of the story and its characters. Duration: The visit lasts for half a day or a full day depending on your requirements. We often deliver a morning session for two classes and an afternoon session for another two classes. Schools: The Goldilocks Story is suitable for children in Foundation and Key Stage 1 and is designed for up to 60 children. Discounts are offered to schools who have booked or run a Glow after school club. A performance that brings traditional storytelling together with digital technology to create an inspiring and fun-filled show for children and families. Story Stew uses live improvised visuals together with traditional oral storytelling to provide audiences with a new experience. Part illustration, part performance, Glow cleverly brings stories both new and old to life. A simple kitchen worktop surface acts as the central piece of set, upon which the ingredients for the ‘story stew’ can be found (characters, settings, props etc). In this exciting bake-off-inspired fairy-tale-filled adventure, the audience will find themselves directing the action as they choose their own characters and create stories afresh. 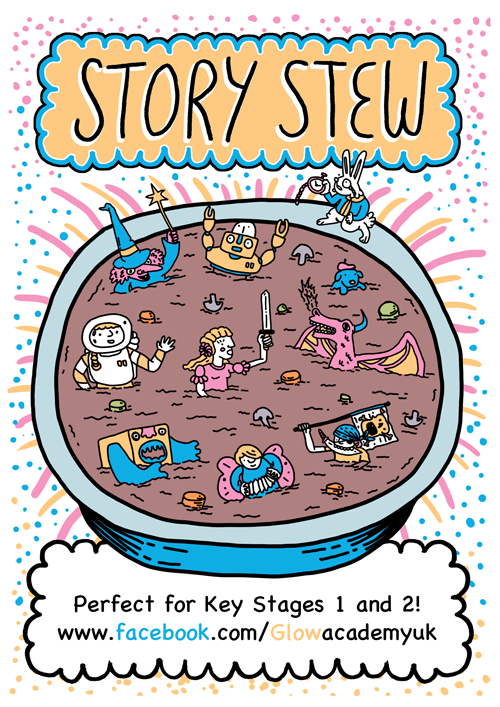 Schools: Story Stew is well suited to Key Stages 1 and 2. For over 100 pupils the cost is £1.50 per pupil up to a maximum of £450. Discounts offered to schools who have booked or run a Glow after school club. Please state which performance you are looking to book for.